68. 2017: From Conflict to Communion? 2017 will mark the 500th anniversary of the beginning of the Protestant Reformation. On 31st October 1517 Martin Luther hang the 95 thesis in Wittenberg and this action is symbolically considered as the watershed event that triggered the Reformation. The anniversary will be a great opportunity to historically review and theologically reassess what Protestantism stood for in the XVI century and what its significance is for us today. This is especially true for those who identify themselves as Protestant and cherish being called Protestant. One entry point in reflecting on the upcoming anniversary is the recently released document entitled “From Conflict to Communion. Lutheran-Catholic Common Commemoration of the Reformation in 2017”. 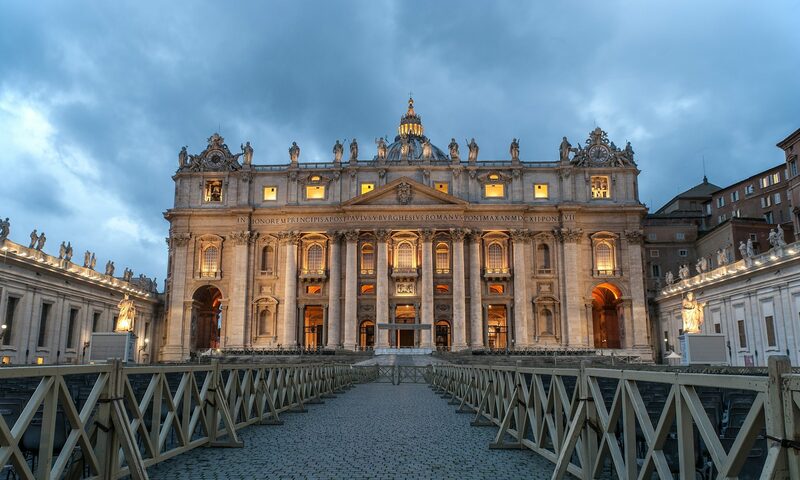 It is a 90 page, joint statement between the Vatican and the Lutheran Federation that attempts to summarize what happened in the XVI century, the controversies that arose, and the ecumenical re-interpretation of the whole in light of pressing ecumenical concerns. It is a detailed “state of the art” of present-day ecumenism, its patterns of thought, its language and agenda. Notice that the chosen word is not “celebration” but “commemoration”. Celebration would have implied an element of sober feasting in remembering the Reformation with an attitude of thanksgiving, while not hiding the “dark pages” of Protestant history. On the contrary, in spite of all that is said in Roman Catholic circles about Luther being “a witness of Jesus Christ”, ecumenism cannot celebrate the Reformation. It can only commemorate it. Official Roman Catholicism, even the post-Vatican II and ecumenically minded version of it, can only commemorate it. That is it can only remember, ponder, and reflect on it. Yet, is the standing legacy of the Reformation to be commemorated only? Is the call to go back to the Scriptures not to be celebrated? Is a Christ-centered, grace-depending, God-exalting faith not to be celebrated but only remembered? After providing a carefully written summary of the main issues that divided the (Lutheran) Reformation and Roman Catholicism, the document ends by suggesting five imperatives for preparing for the commemoration. The first is the following: “Catholics and Lutherans should always begin from the perspective of unity and not from the point of view of division in order to strengthen what is held in common even though the differences are more easily seen and experienced”. Unity, not truth in love, is the main thing. The first imperative is unity above all else. This, however, is not the best way of honoring the Reformation. Among many shortcomings, the Reformation was nonetheless a cry to have one’s own conscience and the church bound to God’s Word alone. This was the “first imperative” of the Reformation from which all else followed, unity included. It is telling that after 500 years unity top priority, replacing the authority of God’s Word. There is the risk of elevating “unity” to the absolute principle, a little “god” claiming pre-eminence. Perhaps this is the ecumenical “idol” of the day that needs to be addressed in a “protestant” way, i.e. recasting unity under the Word of God and not the other way around. In some Protestant circles there may be the risk of approaching the 500th anniversary as if it were a “pride” parade, which is so common nowadays. The temptation is to idolize the Reformation as if it were a “golden age” of the Church. This would be totally contrary to what the Reformers stood for and would run against the best of the Evangelical Protestant heritage. While celebrating God for the great things that the Reformation brought back to the Church (Christ alone, Grace alone, Faith alone), there should be a sober realization of the many sins in and around the Reformation. A biblical faith should always be self-critical and honest, never indulging in self-celebration. In 2008 David Wells wrote a book whose title indicates a more fruitful way to honor the Reformation: The Courage to be Protestant. It takes courage to live under the Word of God and to speak prophetically, act in a priestly way, and live as a kingdom people. In today’s ecumenical world, when unity is in danger of being idolized, it takes courage to affirm that the Bible stands over tradition and the church, that Christ is the only mediator, that grace is all you need for your salvation, and that God is a jealous God. It takes courage to make unity dependent on these Biblical truths and not elevating unity to the place of “first imperative”. Where these courageous Christians are, there the Reformation will be adequately celebrated. Otherwise, it will only be commemorated.